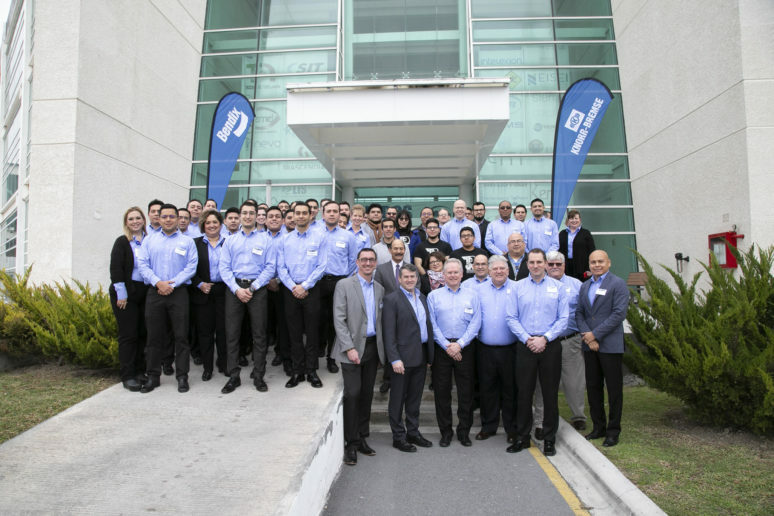 Monterrey, NL, Mexico – January 31, 2019 – Expanding its global engineering capabilities, Bendix (Bendix Commercial Vehicle Systems LLC and Bendix Spicer Foundation Brake LLC) today held a grand opening celebration of its new Technical Center in Monterrey, Mexico. The celebration was attended by members of the Bendix Executive Board, key Bendix business and engineering leaders, as well as guests from various Bendix partner universities, business partners, and collaborators of the Engineering Center. solutions. The team – working in tandem with Bendix and Knorr-Bremse engineering colleagues across North America and worldwide, respectively – will help advance new and emerging technologies to deliver more value to the company’s global customers and further strengthen its global presence. The projects undertaken at the Center will support the entire Bendix product portfolio. The efforts of the Monterrey-based engineering team will help reinforce the company’s ongoing initiatives as well as to address the unprecedented introduction of emerging commercial vehicle technologies including vehicle electrification, automated and autonomous vehicles, and the ongoing search for greater fuel efficiency. Beyer, Vice President – Engineering and R&D at Bendix. Bendix’s headquarters in Elyria will remain the company’s engineering and R&D leadership hub. The company also maintains vibrant engineering operations in Acuña, Mexico; Irvine, California; Kalamazoo, Michigan; and Vancouver, British Columbia. Employees at the new Center will also continue the long-standing Bendix corporate culture of giving back to the communities in which our team members live and work. Bendix delivers on areas critical to the success of fleets and owner-operators – including safety, reliability, vehicle performance and efficiency, and lower total cost of ownership (TCO) – through an ever-growing portfolio of wheel-end and advanced safety technologies. By complementing its products with unparalleled post-sales support, Bendix aims to strengthen return on investment in equipment that improves highway and vehicle safety for everyone sharing the road.